The Maryland Citizens Health Initiative (MCHI) has been working for the past two years to create the Maryland Faith Health Network, a pilot project with the LifeBridge Health system that is based on the successful Congregational Health Network in Memphis, TN. The Maryland Network connects the three hospitals in the LifeBridge system with trained volunteers from local faith communities to work together to better serve ailing members. So far, MCHI is working with over 65 congregations, including the Muslim Community Cultural Center of Baltimore (MCCCB), where Earl El-Amin serves as the Imam. Visiting MCCCB, one is struck by its peaceful surroundings in an urban park. As you make your way up the steps, two deer pose on the lawn. The MCCCB board meets in the Center’s library, a work of love that was built by one of their members who is a retired teacher. Expressing the same concerns and frustrations as every other congregation with which MCHI has met, the MCCCB board talks about how difficult it can be for congregations to know when their members are in the hospital. Sometimes members forget to call and then wonder why nobody from the congregation visited them. The Maryland Faith Health Network provides a way to bridge this gap. Abdul-Rahmaan Waajid serves as the Faith Liaison – the connective tissue – between the LifeBridge hospitals and the MCCCB congregation. With the patient’s permission, when a member of the Network is admitted to the hospital, LifeBridge will call Mr. Waajid, who then coordinates visits, phone calls, transportation, and other needs that arise during recovery. A National Registered Paramedic, Mr. Waajid is passionate about CPR training and making sure that people are prepared to help during a crisis. 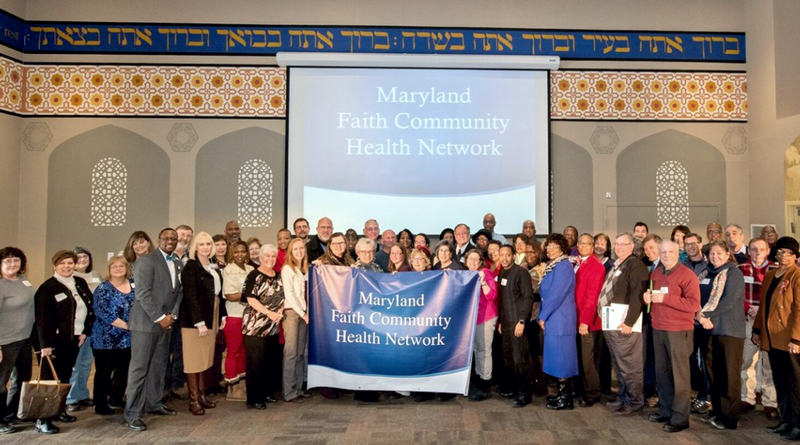 Even as some find it convenient to divide us from our neighbors of other faiths or ethnicities, the Maryland Faith Health Network is doing the opposite. It is reaching out to people of all faiths and providing them with a way to pull together to help one another through a crisis. This is real leadership. This is what makes America great. George Costanza would be proud. Stephanie Klapper is the Deputy Director for Community Outreach at the Maryland Citizen’s Health Initiative.